How does WhatsApp make money? Here we’ll explain how WhatsApp is able to make so much money. You love to talk to your friends and family on WhatsApp – in fact, over one billion people in 180 countries love to do that. However, unlike other apps – many of which offer a freemium model – it is completely free for the users. There is neither any subscription fees nor any other kind of hidden charges that users have to pay to use WhatsApp services and offerings. Also unlike other apps like WeChat, the Chinese SMS app that not only displays advertisements but also has online games, WhatsApp refuses to have advertisements. They believe it mars customer experience. More, WhatsApp does not even have online games or sell emoticons or stickers as opposed to many apps which charge money from the users for use of emoticons and stickers. So, how does WhatsApp make its money? Or, more specifically, why is WhatsApp Worth $19B? What is it that makes it be valued among the top organizations of the world? To know that, we must understand the business model of WhatsApp first. WhatsApp started by Jan Koum and Brian Acton in 2009 as an alternative to SMS gives all its services for free. It can be downloaded on practically all smartphones. It is immaterial that the mobile is a Windows phone or an Android, or a Blackberry, Nokia or iPhone. It can also be downloaded on your computers via a browser, and you enjoy all the facilities of WhatsApp on your computer. You can send and receive videos, documents, photos, text messages as well as place voice and video calls through the app that too without paying anything to the app. So the question is how does WhatsApp sustain itself, in other words, how does it generate money. WhatsApp had launched a subscription model in 2014 and earned over one billion USD in the first nine months of the launch of this scheme. Under this scheme its users had to pay an annual subscription of 0.99 US dollars. At that time WhatsApp had about 700 million users all over the world. However, this model was scrapped after Facebook acquired WhatsApp in February 2014 at a cost of 19 billion US dollars. WhatsApp continues to enhance its product offerings making it more secure for its users. Its end to end message and calls are in an encrypted form whereby only the sender and the receiver can read the text messages or listen to the audio calls. This encryption requires use of high-end technology. Not even WhatsApp itself can decipher what goes on between the sender and the receiver. And we all know technology costs money. But WhatsApp continues to be free for the users. So there have always had rumours and speculation as to how exactly does WhatsApp makes money to not only sustain itself but to give top quality cutting edge technology to its users. According to one such theory, WhatsApp was a data mining tool for Facebook and also that it was engaged in selling your personal data that every user gives to WhatsApp at the time of signing the user agreement. But WhatsApp strongly refuted the theory with its co-founder Jan Koum stating that privacy of communication was a matter of faith for him and he would never allow it to be compromised. He went on to say that partnering Facebook was not going to change his firm belief in privacy and he and by extension WhatsApp would not change its belief system. What we now know is that going forward WhatsApp may be toying with the idea of monetising its strength; reach market penetration and technological savvy in a manner that is both ethical and non-intrusive. This course of action was indicated by the company in January. It entails sparing its users of any charge but charging business and organizations who want to reach their customers via WhatsApp. WhatsApp has already succeeded in positioning itself as an alternative to SMS and as the only instant messaging application. In order to achieve this goal, ever since its inception, WhatsApp has taken a conscious decision to add to its user base as much as possible. Its growth continues to be astounding as it continues to add about one million users per day. These users are mostly from India, Europe and Latin America. WhatsApp hit the 200 million mark in India in February this year. One thing helping WhatsApp in increasing its market penetration is the concept of groups. Whenever anyone downloads a social messaging app, he prevails upon his associates, friends and family as well as co-workers to download the same app. This leads to exponential growth for that app and WhatsApp has undoubtedly benefited from this phenomenon. Many companies and organizations like banks, financial institutions and ecommerce entities want to collaborate with WhatsApp to leverage and use its reach and penetration for their own business purposes to send and receive messages via WhatsApp to their own customers and or prospective customers. WhatsApp is already in the process of surveying its users regarding this aspect as to whether they would like to send and or receive business communication via WhatsApp. It is already being used in countries like India by common people in an unorganized way to identify and sell goods like medicines, art and craft items, sarees, and hosiery items. And Facebook, the current parent company of WhatsApp, is looking to go more into developing markets. 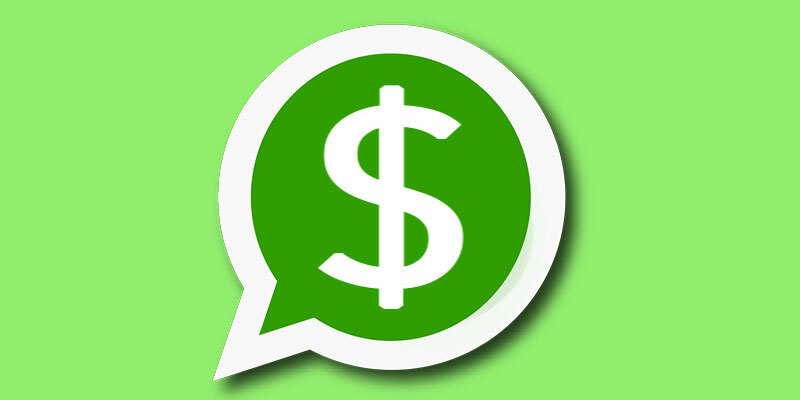 Another dimension to the WhatsApp strategy for making money in a non-intrusive way is to start its own digital payment service. Their foray into the digital payment sector can start with India to encash on the government’s drive for business and financial transactions to go digital. It has already become the default messaging app in many countries including India, and it has said that in an attempt to monetise this strength it plans to launch commercial messaging for businesses this year.